Just for the members of the IWC Collectors' Forum, IWC has created a special edition of its Pilot's Watch Chronograph. Available in just 250 individually numbered pieces, the IWC Pilot’s Watch Chronograph “Collectors’ Watch" Edition (ref. 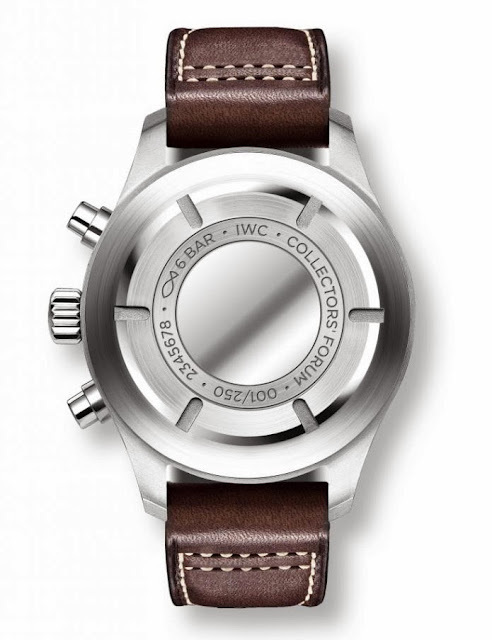 IW387808), can be already ordered through the IWC Collectors' Forum. Delivery is expected to happen in August 2014. At order time, it is possible to choose where to pick up the watch once ready from a list of IWC Boutiques worldwide. The steel case has a 43 mm diameter with a height of 15.5 mm and houses the manufacture self-winding Calibre 89365 offering 68 hours of power reserve. Thanks to the soft iron inner case, the watch is highly antimagnetic. Water resistance to 6 bar. The black dial has hand-applied numerals in rhodium with beige, just like the typical big hands. The subdial at 12 o’clock shows the recorded minutes, while the seconds can be read off from the central hand. The flyback function allows the wearer to delete an ongoing time measurement, without an intermediate stop, and start a new one. The brown calf strap with white military-style stitching completes this special edition timepiece. 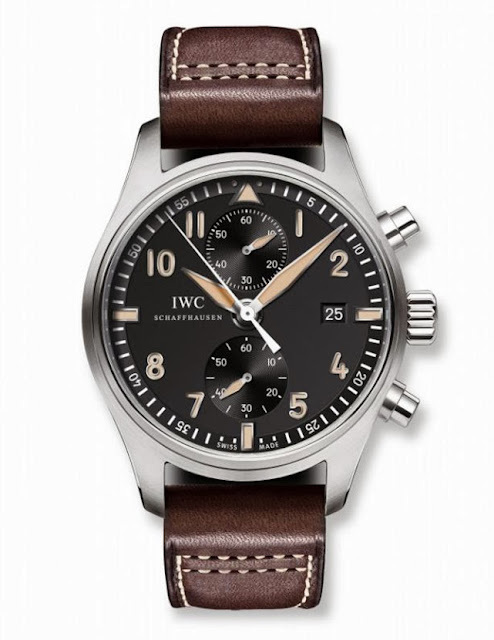 Available in just 250 individually numbered pieces, the IWC Pilot’s Watch Chronograph “Collectors’ Watch" Edition (ref. IW387808), can be already ordered through the Collectors' Forum. Delivery is expected to happen in August 2014.